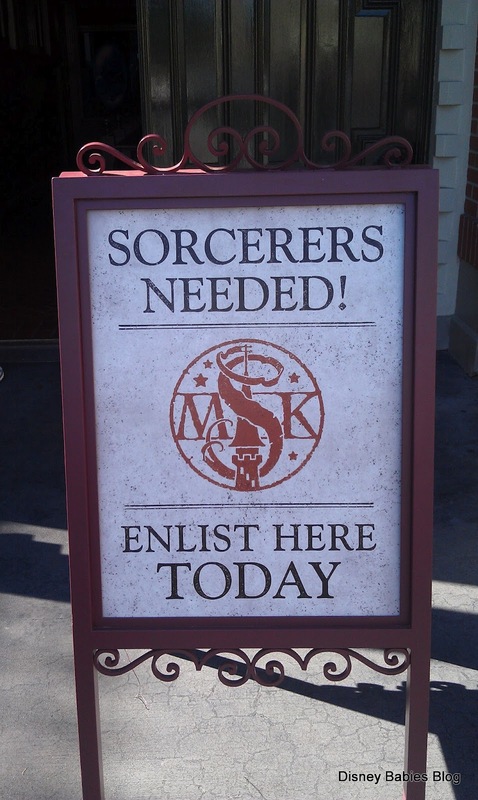 By now, you've probably heard of Sorcerers of the Magic Kingdom. If not, your addiction to Disney isn't nearly as bad as mine! 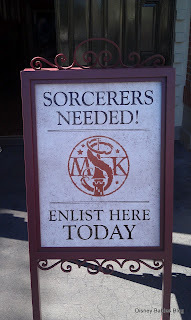 Sorcerers of the MK, slated to start for the masses in the end of February, is a new interactive experience free to guests of the Magic Kingdom. Expected to appeal to the frequent park guest, this interactive scavenger hunt-like game gives guests a mission to help ward of villains and save the Magic Kingdom! The Town Square Fire Station has been gutted yet again to be the home for this new experience. Cast Members are there to train you and help you learn your mission. The first experience starts in the fire station so you can learn where you have to start. 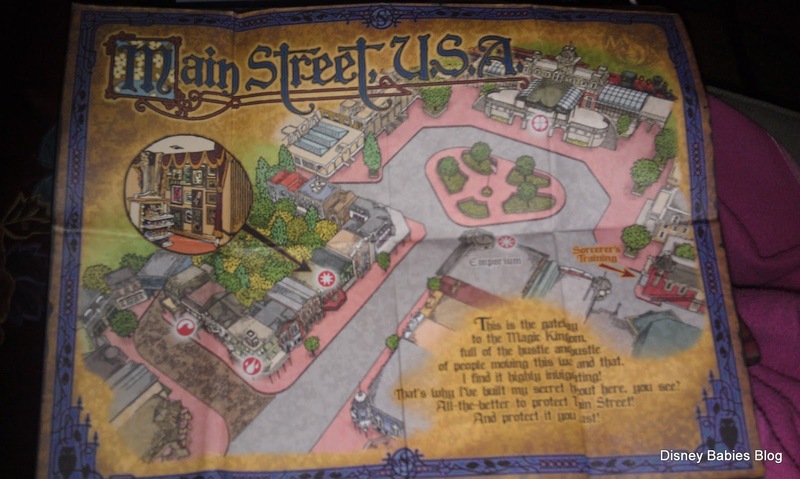 You are given a map of the park, marked with the spots to find the windows, and cards that are your sources of powers and spells. From Main Street, U.S.A., I headed straight to Frontierland, which was perfect - I ran off to try the experience as Adam and Noah hopped on the train! Honestly, trying to find our spot in Frontierland took me a minute! 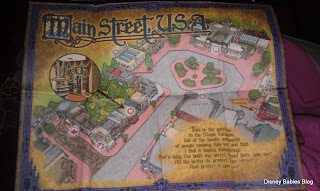 Very few things are labeled on the map - I knew I was somewhere in Frontierland but not all the way to the Country Bear Jamboree! Luckily/unluckily for future players - there was already a person playing and someone waiting, so I found my spot that way! 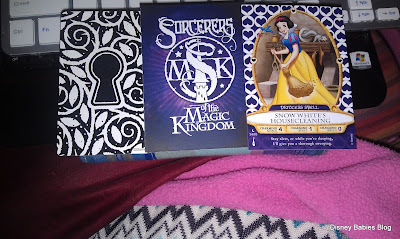 Your key, on the the left, opens up the window to acknowledge you while the other cards help you with spells to beat the villains! I, unfortunately, don't have any pictures of me playing or at the windows. I wasn't thinking, but, I only stopped at the first station in Frontierland. For me - this is not something to do with a toddler. An older child would be able to participate, but I didn't want to take time away from vacation play with my son to do this challenge. Another flaw in this challenge - the lines! You stand at each window from 2-3 minutes, which isn't long, until you realize that there were 5 people behind you! Though this isn't fully functioning, if everyone is trying to play, there could be extremely long lines in this experience which is there to entertain you instead of making you wait! Of course, they are still testing and questioning the players who complete the challenge - they are still trying to perfect it, as Disney does best. I'm confident that when this game is fully functioning, it will be a fantastic experience and I love that I get to share it with you! Melissa over at Disney on Wheels fully experienced the game last week - check out her post about her experience! Have you experienced this yet, or, are you looking forward to trying this on an upcoming trip?